Gruezi and welcome to Familia! 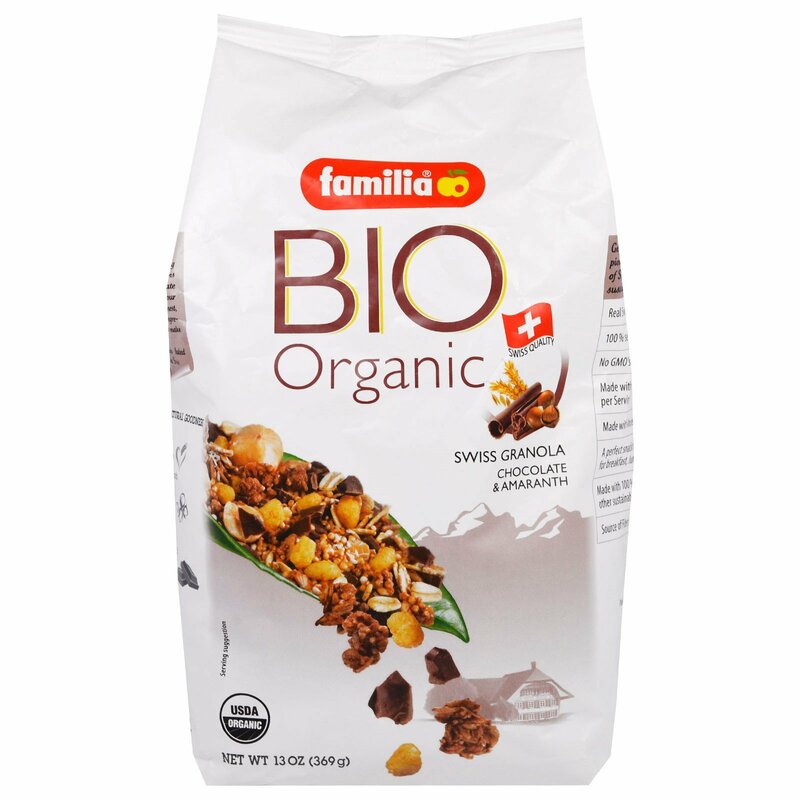 We are a family held company and have been producing authentic Swiss cereals since 1954. 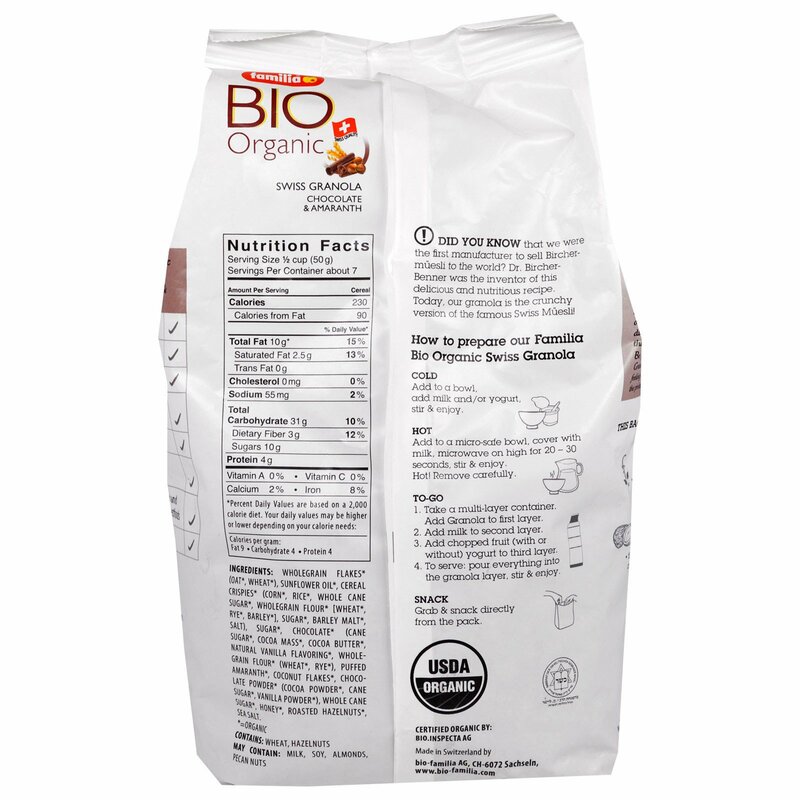 Together with Dr. Hans Miller, we pioneered organic farming back in the late fifties. We know out future needs to be green and one of our many contributions to the environment is using the finest, organically grown ingredients. 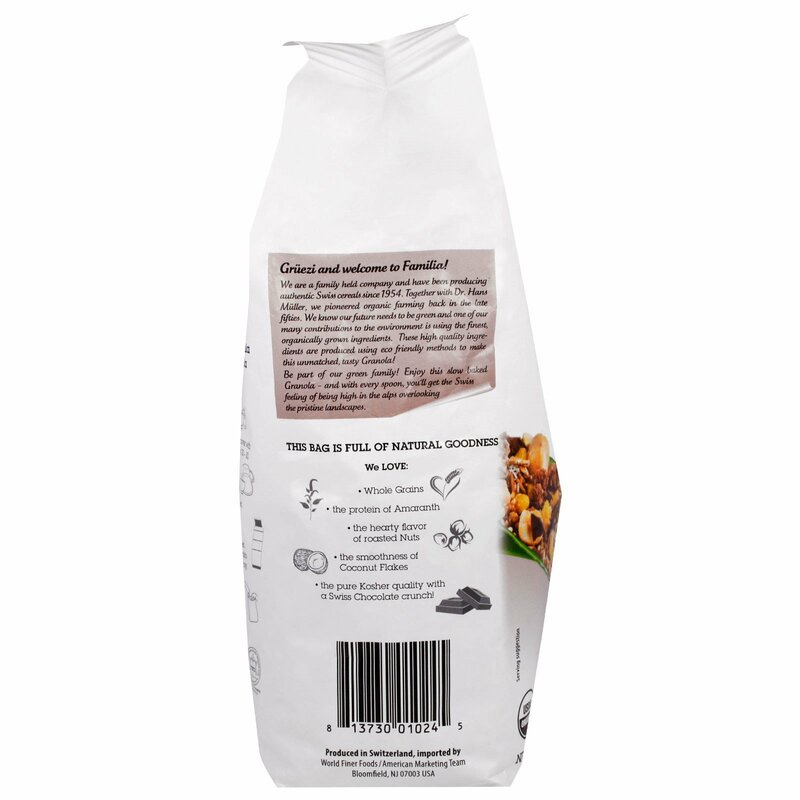 These high quality ingredients are produced using eco friendly methods to make this unmatched, tasty Granola! Be part of our green family! 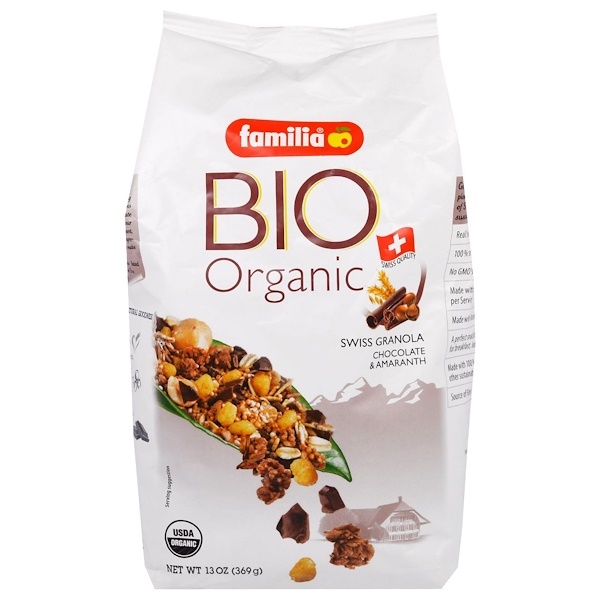 Enjoy this slow baked Granola- and with every spoon, you'll get the Swiss feeling of being high in the alps overlooking the pristine landscapes. The Pure Kosher quality with a Swiss Chocolate crunch!
! Did You Know that we were the first manufacturer to sell Bircher-muesli to the world? Dr. Bircher-Benner was the inventor of this delicious and nutritious recipe. Today, our granola is the crunchy version of the famous Swiss Muesli! Add to a bowl, add milk and/or yogurt, stir & enjoy. Add to a micro-safe bowl, cover with milk, microwave on high for 20-30 seconds, stir & enjoy. Hot! Remove carefully. Add milk to second layer. Add chopped fruit (with or without) yogurt to third layer. To serve: pour everything into the granola layer, stir & enjoy. Grab & snack directly from the pack. Хлопья цельнозерновые * (овса *, пшеница *), подсолнечное масло *, хлебные хрипы * (кукуруза *, рис *, цельный тростниковый сахар *, мучнистая мука * [пшеница *, рожь *, ячмень *], сахар *, ячменный солод * , соль), сахар *, шоколад * (сахарный тростник *, какао-масса *, масло какао *, натуральный ванильный ароматизатор *, цельнозерновая мука * (пшеница *, рожь *), пышный амарант *, кокосовые хлопья *, шоколадный порошок * (какао-порошок *, тростниковый сахар *, ванильный порошок), цельный сахар *, мед *, жареный фундук *, морская соль.